We will meet in the car park at the back of the Council Chambers in Mullumbimby at 9am to register. The more the merrier and greater the impact! 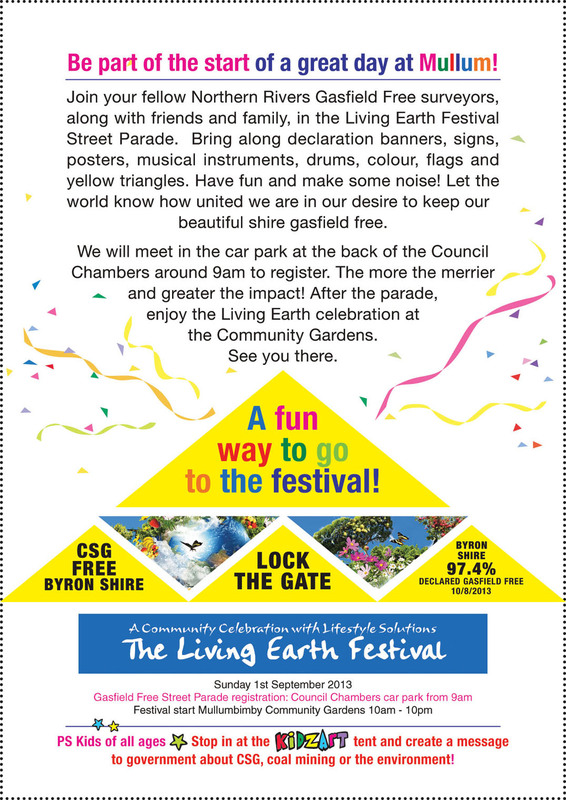 After the parade, enjoy the Living Earth celebration at the Community Gardens See you there..